Black, Many Colors Can Be Available. This Product Is A Major Component In The Creation Of Flowracks And Conveyor Structures. 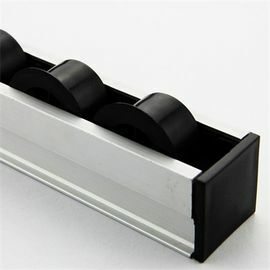 is 4 meter long roller track with a Aluminum frame and ESD flange plastic wheels. 2. This product is a major component in the creation of flowracks and conveyor structures. The roller track and its accessories will work on any 28mm pipes and joints . Our Works For Aluminum Precision Cutting, Extruding, CNC Machining, Deep Processing, Punching. Business Model OEM ODM, Customize As Customer's Drawing, Sample Or Idea. Industries We Served Solar PV, Electrical, Electronic, Automotive, Appliance,Decoration, Construction, Machinery, Aerospace, Marine, Medical, Door and Window, Furniture, Hardware, LED Lighting etc. Solar Pv Aluminum Profile, Aluminum Profile Heat Sink, Door and Window Aluminum Profile, Furniture and Decoration Aluminum Profile, Electrical and Electronic Aluminum Profile, Construction and Building Aluminum Profile, Industrial Aluminum Profile, Aluminum Profile Frame etc. Aluminum Auto Part, Aluminum Machinery Part, Turning Aluminum Parts, CNC Precision Automatic Turning Aluminum Part, Milling Aluminum Part, Aluminum Mold Part, Aluminum Medical Device Component, Aluminum Hardware Fitting, Aluminum Airplane Part, Aluminum Motorcycle Part etc. Precision Aluminum Die-casting Parts For Auto, Medical, Equipment, Motor, Aerospace, Boat, Machinery etc. Checking the raw material before they come into the warehouse. Confirmed all drawing information with customer in details. Checking the process, machine, and other details in the production line. QC department check the items and package with careful. 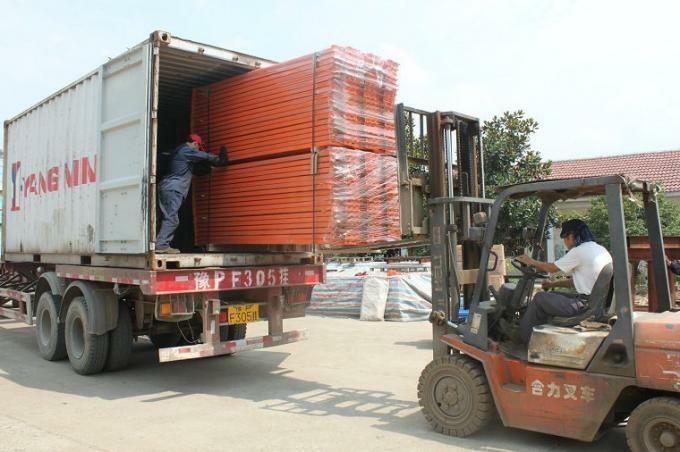 The coated pipe can be assembled with the metal joints and special parts.It can make various kinds of lean production equipment such as lean assembly line, production line, worktable, circulating car, storage rack and display rack.It is widely used in automobile industry, electronic manufacturing industry, communication industry, biological engineering, pharmaceutical industry, various chemical industry, precision hardware and other diversified production process. 2. We have fast delivery. 2. We provide one stop service from tooling, extrusion profile, die-casting, sheet metal punch, machining, and surface treatment. 3. 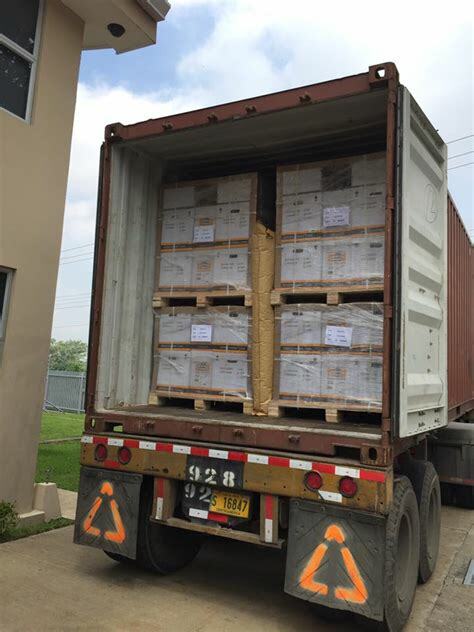 QC control system, 100% QC inspection before shipment. 4. 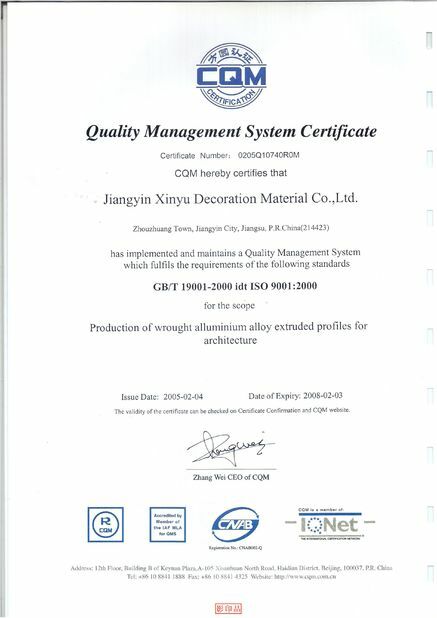 We are ISO 9001:2008 factory. 5. Our team has more than 25 years experience in aluminum business. Established in 1993, Jiangyin Xinyu Decoration Material Co., Ltd. is a specialized manufacturer of high class architecture doors and windows sectional bars, decoration sectional bars and industrial sectional bars. Titled as 'Wealthy Material & Natural Treasure, Delicately Beautiful Place Producing Honor Heroes' with excellent geographic position, we have fully taken advantages of developed science and technology, as well as convenient transportation to advance into the global market. 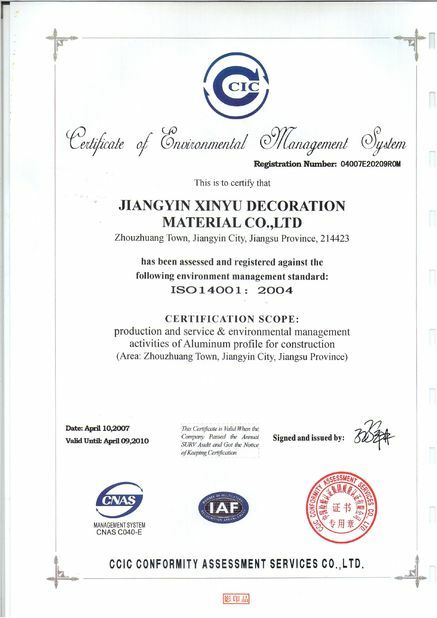 With the marketing policy of “Customer uppermost, Credit first, Win-win game, Efficiency first", “famous brand quality featuring, genuine goods with a reasonable price”, and high grade service featuring “3 advantages and l fairness”, We sincerely welcome customer to choose XINYU's profiles ,designs and produces various doors, windows, curtain walls, civil decorating profiles, industrial profiles and special profiles as per customer is requirements with the fastest responsivity. In this beautiful 2lst Century, let's join our hands to create a more brilliant future through our trustworthy cooperation and services. Colour: Black, many colors can be available.